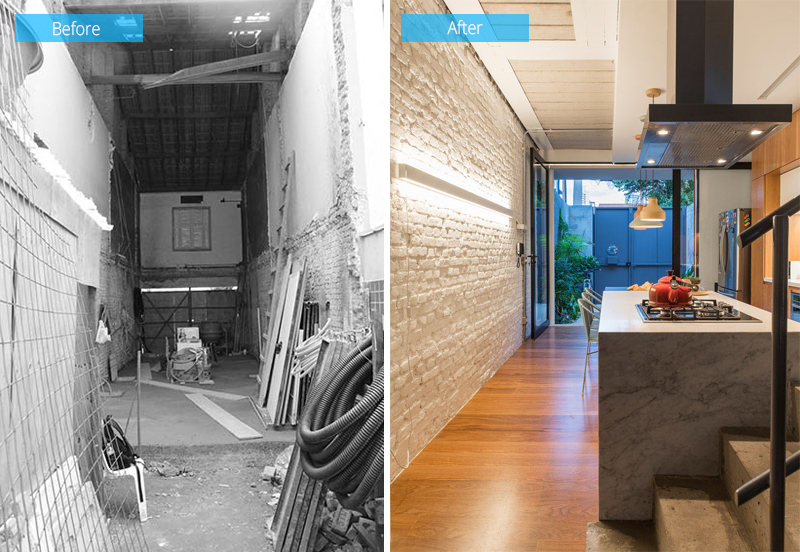 Check out what the designers did to transform a long and narrow old house into a modern home! When it comes to designing, nothing is impossible. At first, what the client wants may sound unachievable but there are times that these can actually lead to amazing ideas. This is how unique homes are born. It starts with a homeowner’s dream and it’s up to the home experts to bring that dream into a reality. Because of this, even the ugliest and most dilapidated structures can still be renovated into beautiful homes. 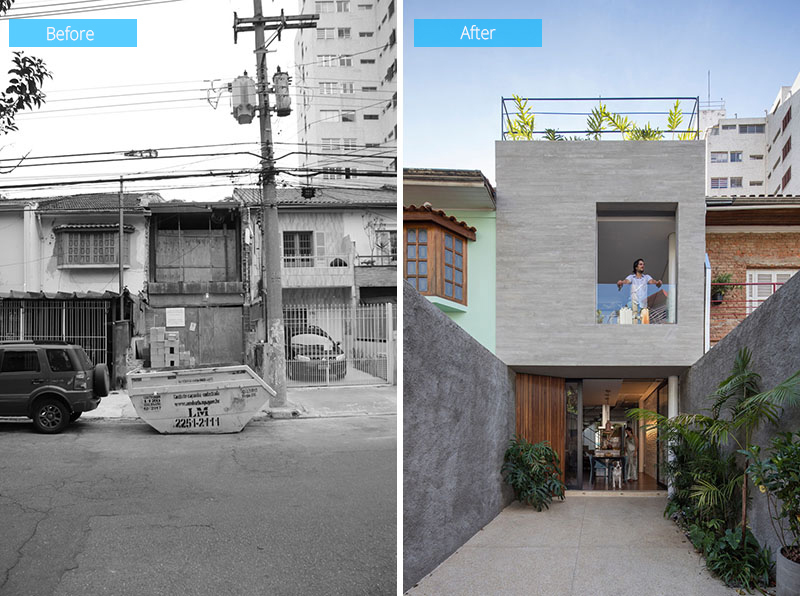 Have you seen transformations like this? 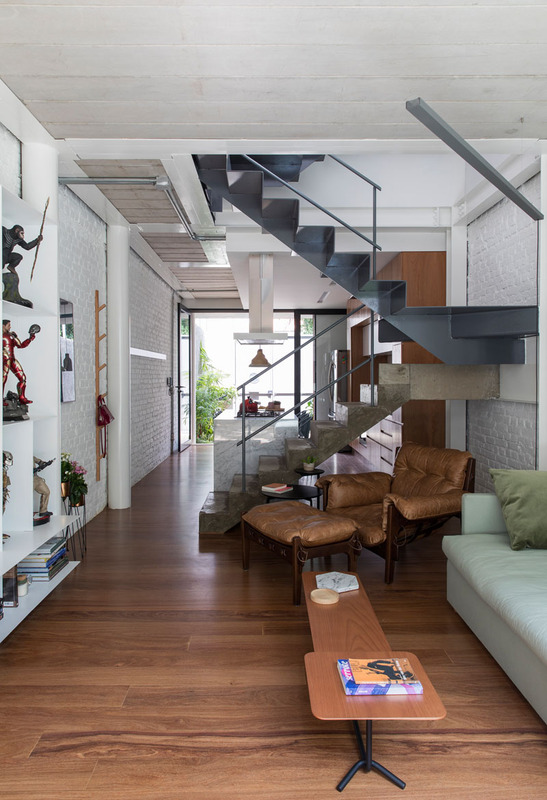 Well, there are warehouses made into lovely homes or even barns too! But today, we are going to show you an old house that was passed in three generations. 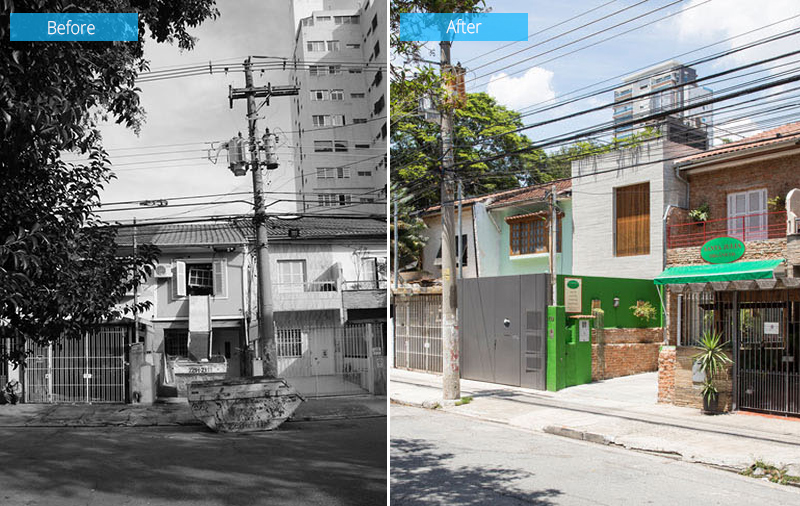 The house is called the Piraja House located in Sao Paulo, Brazil. We don’t need to tell you how the old house looked like because you can see that in the images below. Yes, like what we always do, we will give you a short virtual tour of the home plus before and after photos! Unique feature: A long and narrow house was renovated into a modern residence featuring a roof garden. Three family generations of the same family own this house. 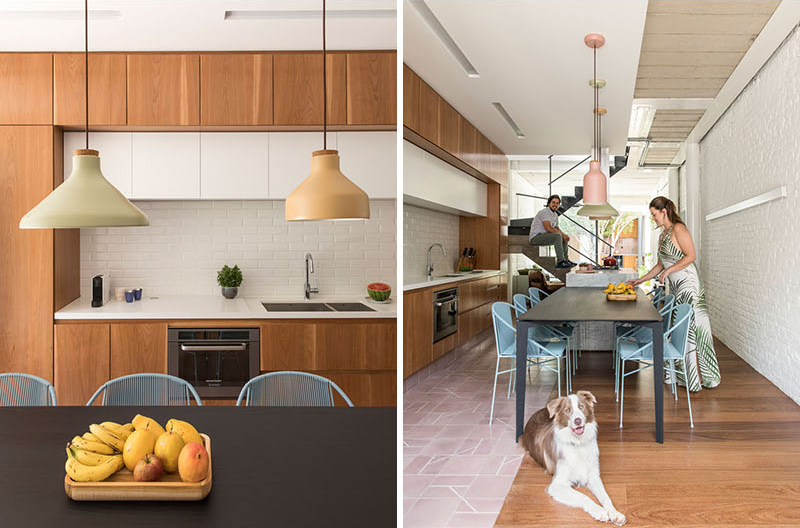 It was renovated to fit the lifestyle of a young couple and their dog. Originally, the house had overly compartmentalized spaces. Aside from that, it has low lighting and a low ceiling. All of these features did not meet the expectations of the young couple who will live in the house. Hence, the old structure was demolished leaving only the masonry walls that are made of solid brick and had a structural function. When one gets into the house, the dining area and kitchen area will greet guests. Don’t you love the tropical feel of this place because of the plants? Next to the kitchen is the living room which has a white brick wall. The wall was merely painted white which gives a subtle industrial touch to the area. There is a pivoting door and a sliding frame that can allow an extension to the social area when it’s fully opened. Since the living room is long and narrow, one side has the seating area while the other side features a shelving unit. The shelves provide enough room to display action figures. Aside from that, it also houses the television. 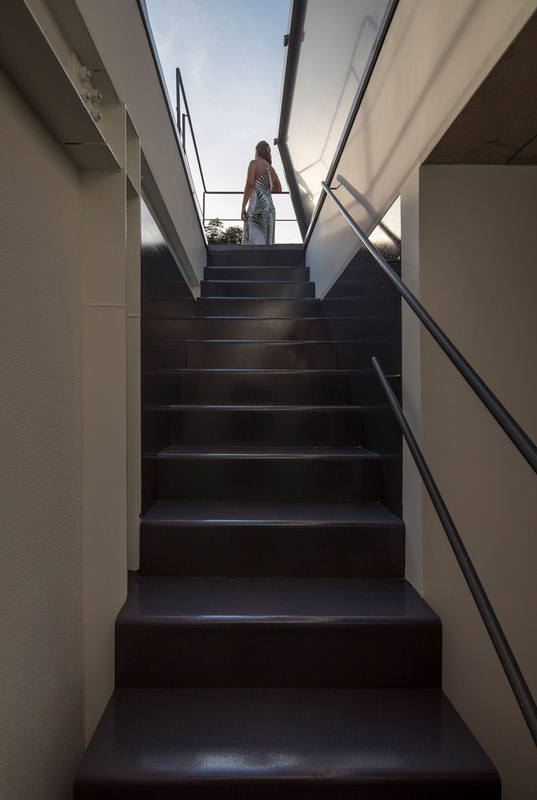 Between the living room and the kitchen are concrete and steel stairs. This leads to the second floor of the home. Seen here is a before and after photo of the kitchen. In the kitchen, the original brick wall has been painted which resulted in a bright and welcoming space. On the opposite of the brick wall is a minimalist wood and white cabinets. The kitchen island and a dining table run the length of the kitchen. Isn’t this a great design for a small kitchen? The stairs that we have seen earlier continue up to the roof of the house. There is also a skylight that provides access to the rooftop deck. In the second level of the house are two bedrooms. 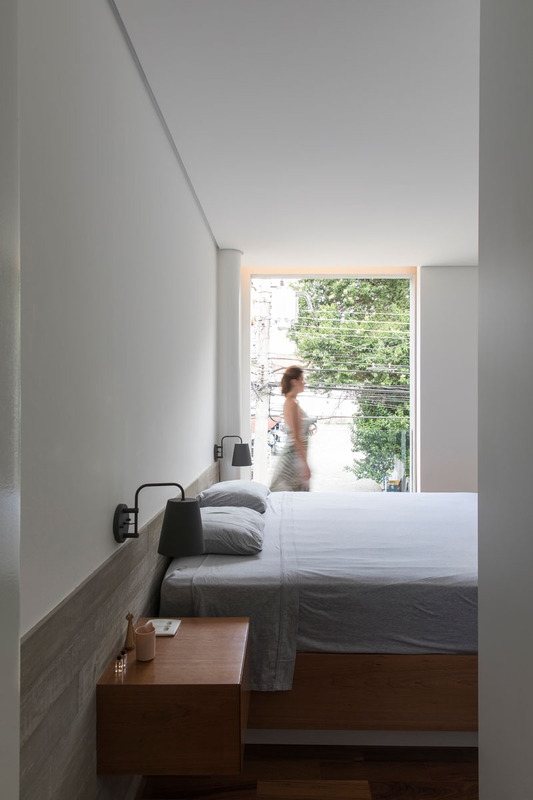 One of the bedrooms is overlooking the street but it has wooden shutters that can be closed in order to provide privacy for the bedroom. 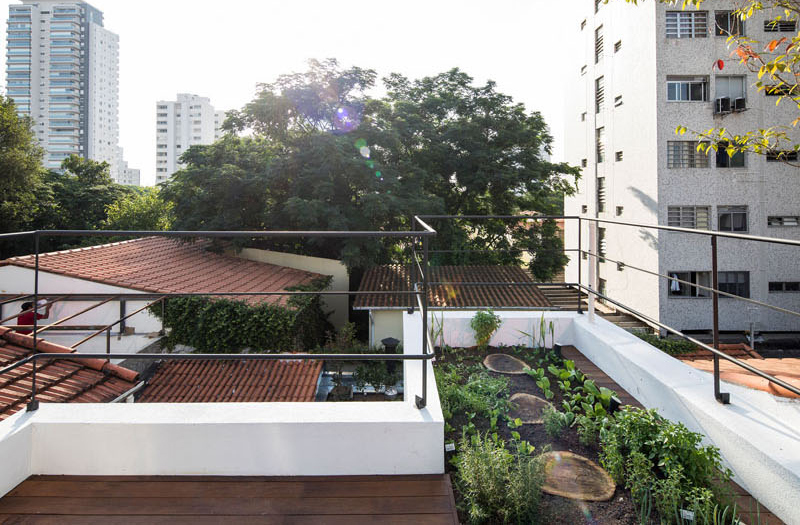 Before, the roof was just nothing but after the renovation, it was turned into a slab garden. This a nice place to sit and relax especially early in the morning or late in the afternoon. Also, take a look at the skylights on the side. The deck features a small grassy area and garden which is perfect for relaxing. 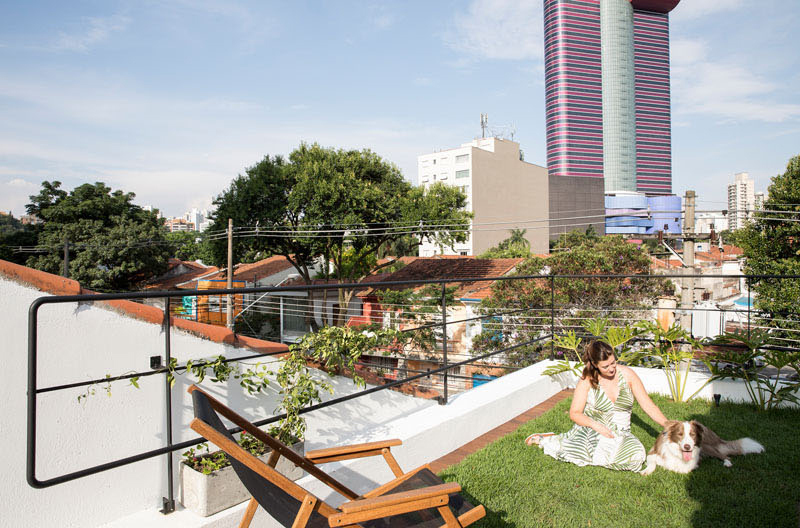 Who would think that a green roof like this can be seen in the middle of tall buildings? Apart from the grassy area, there is also a portion allocated for plants. With the looks of it, these look like herbs of different kinds which can be used for cooking! 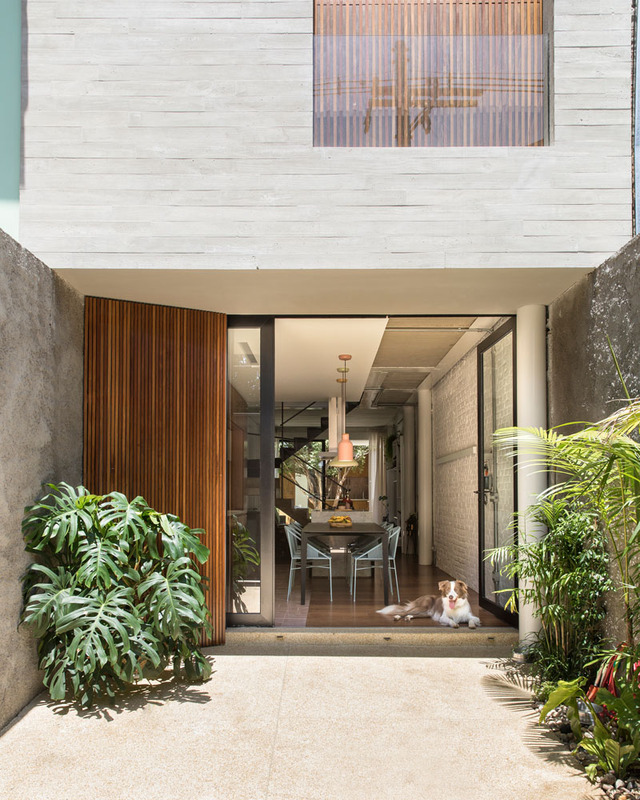 The house also has a courtyard located off the living room. It has trees and small plants which makes one feel like he is in a park. There is also an outdoor kitchen which can be perfect for preparing barbecues during night time parties. You can compare the house here before it was renovated and after it was updated. 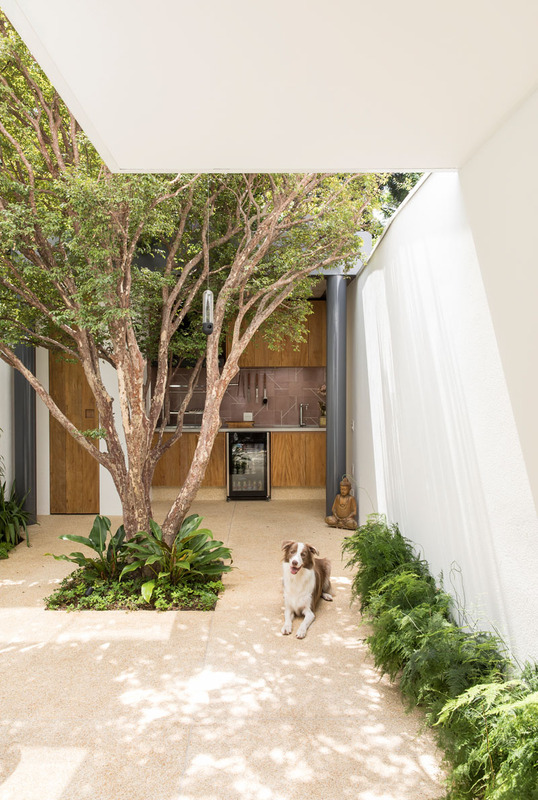 The new home has a secure area at the front that serves as a small garden and patio. It is a nice way to welcome guests! 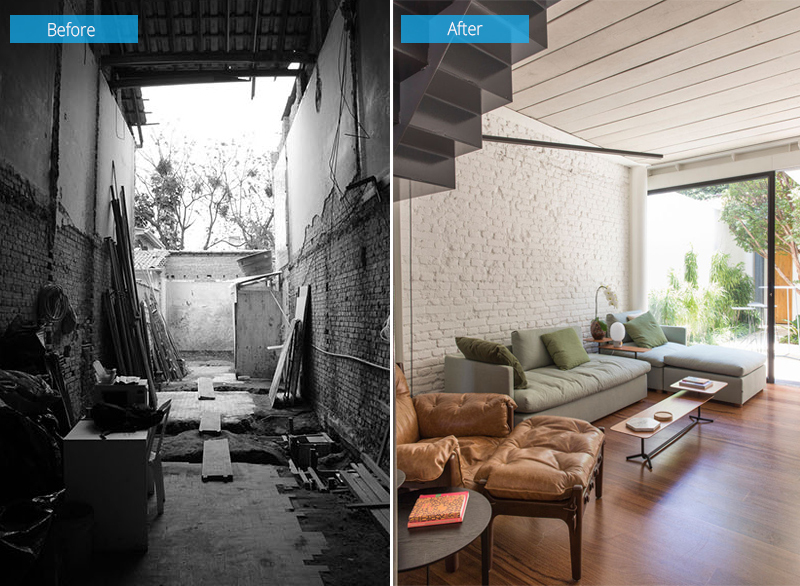 This home renovation shows us that we can transform any space into a stunning home! 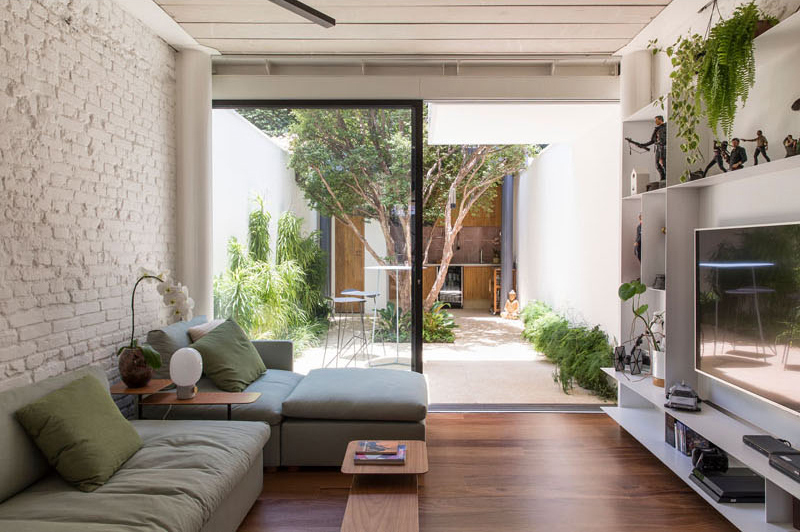 No one expected that the long and narrow space can actually turn out into a cozy place to live in. 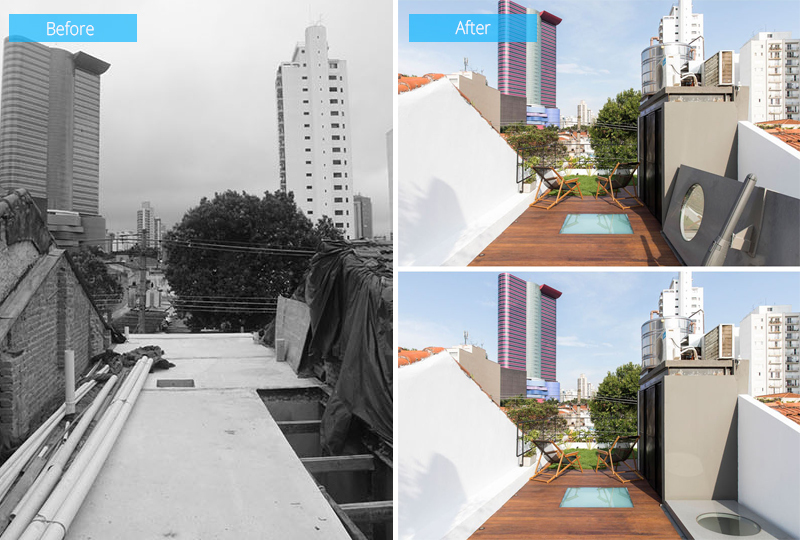 Good thing Estudio BRA Arquitetura was there to help the young couple to get the house of their dreams! 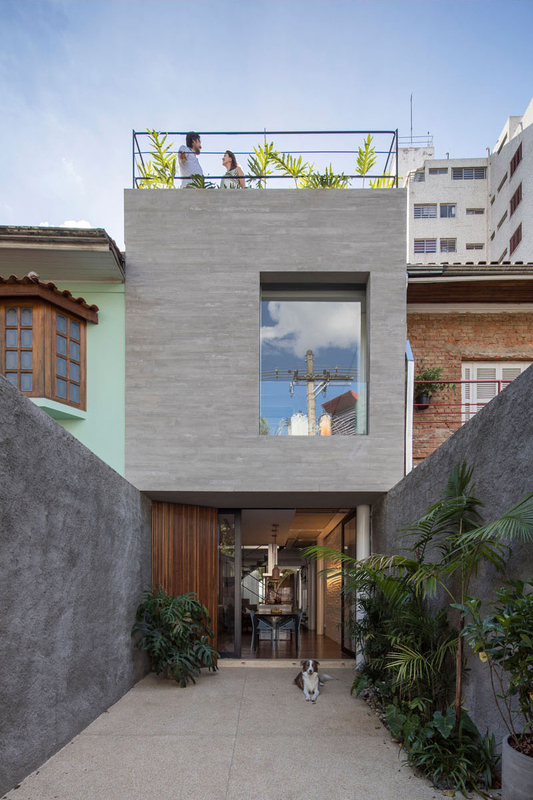 The plot of this house is at 4 x 24 square meters and it was divided into three levels including the roof garden. It sure was challenging to design this house because of its shape. But it turned out totally awesome! So if you have a long and narrow lot, don’t worry! You can actually get your dream home whatever is the size of your lot. Others even prefer to live in tiny homes than large spacious mansions.